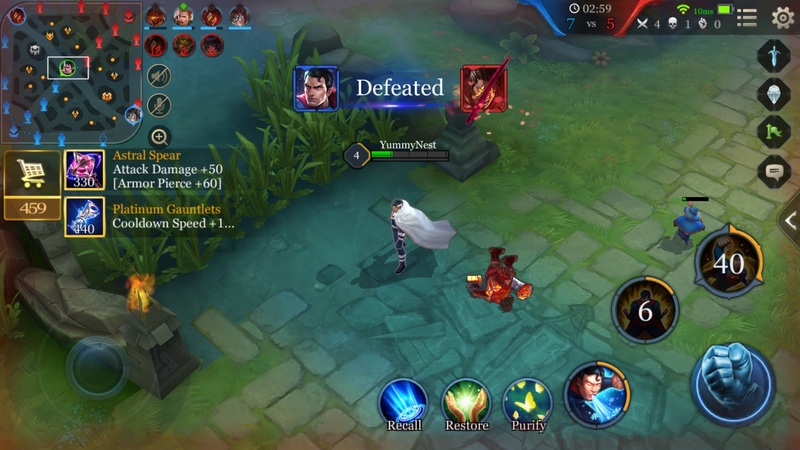 In Arena of Valor, Superman is a Warrior with powerful control and burst. Due to his abilities, his playability is higher than other heroes. This also means that there is a lot of room for improvement of Superman's gameplay and techniques. The following will introduce Superman's gameplay and group battle techniques for everyone. In 5v5s, Superman normally moves on his own path or roams and matches with junglers to invade enemy jungles. Superman is weaker when fighting the line. He mainly relies on abilities to clear out the line and provides ADC and aid to heroes fighting the line. When he is fighting the line he can look wretched. Superman's first ability is very powerful in the early stage. 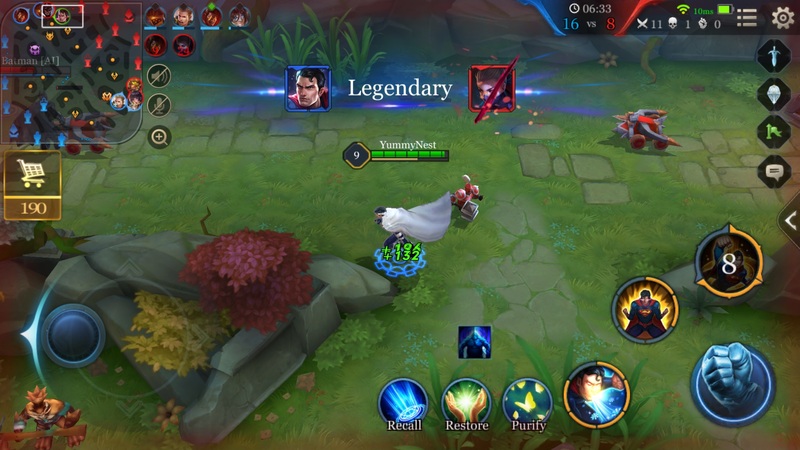 With this advantage, he can cooperate with his teammates to invade enemy jungles when the game starts and then harass the enemy to fight their jungle development. In the early stage, Superman roams and leads troops to develop. Superman's support and gank abilities are extremely prominent. His frequent control makes it difficult for enemies to escape his grasp. In the mid-stage, medium and jungle team battles frequently erupt. Superman should actively rally his teammates to invade the enemy's jungle or go support teammates who are under pressure fighting the line. The key to achieving victory is the rhythm of the battlefield. In mid-late stages, the big and small dragons are very important. When one is at a disadvantage and has no chance of fighting a dragon or discovering that the enemy is fighting a dragon, it's important to grab dragon buffs. Superman can use his second ability while in Flight to pass through obstacles and grab the dragon. Or he can go around the enemy and use his ultimate while in Flight to seize the dragon. When he shows up on a team battlefield, you must watch out for the enemy's control abilities. If you are being controlled or are about to be controlled, you can use Purify to remove the effect and prevent your Flight from being interrupted. In the late stage, every team battle must be approached with caution. One mistake can cause the team to get eliminated by an enemy wave. Superman is an initiator hero, but in the late stage, anyone who is receiving focused firepower will have difficulty surviving. Superman must do his best to avoid being alone and getting tangled up in enemies. During team battles, try to stay behind and then use Flight plus ultimate to attack. Long range control can give teammates chances to cause damage. 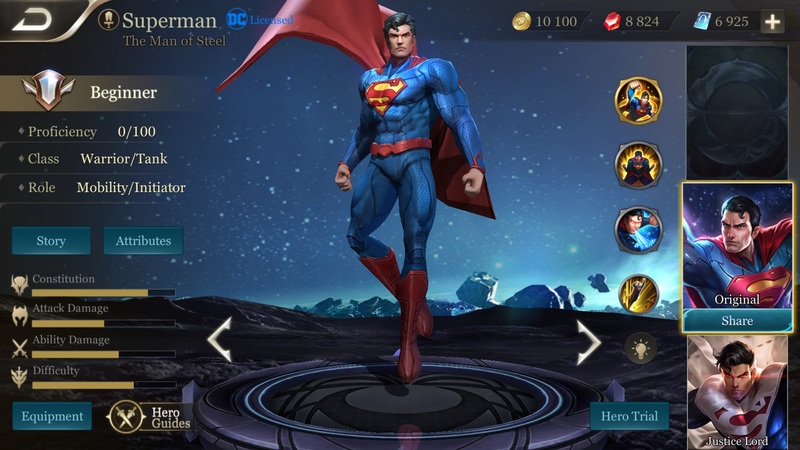 After he uses his ultimate, Superman can strike enemies frequently. 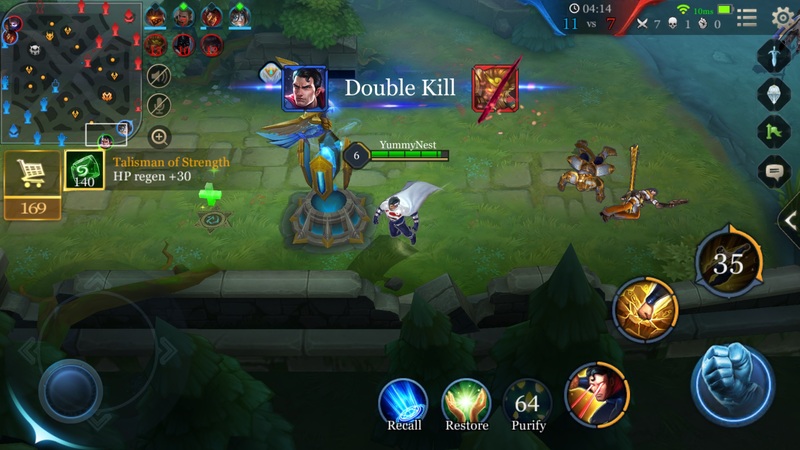 After the team battle begins, Superman should contain the enemy carriers and other enemies who pose a large threat to his teammates. Superman has high operational difficulty and it takes a lot of practice to master his abilities. Do your best to keep him in Flight. Using his ultimate can drastically reduce the time Superman needs to enter Flight. After his ultimate is used, do your best to avoid being controlled for long periods of time. The normal attack damage caused by Superman in Flight is considerable and is also very effective against Defense Towers. After a team battle defeat, you can choose to lead troops to steal towers and force the enemy.